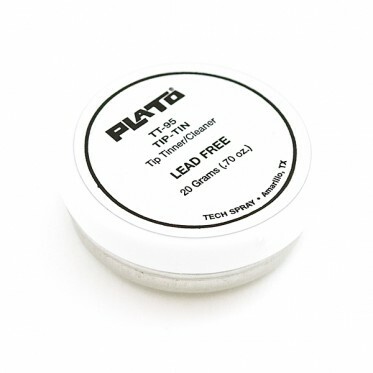 Description: Tip tinner is a good thing to have in your arsenal of soldering supplies. Composed of a mild acid, it helps remove baked on residue (for when you melt your desk top) and helps prevent oxidation (the nasty black stuff) that accumulates on your soldering tip when not in use. Comes in a sealed 20 gram disk. This tinner is Lead Free.